Today, when our extended family is swelling and we all seem to take up more than our fair share of square footage, our concerns run to how to juggle (or at worst rearrange) what is gobbling up airspace and ideally get rid of some of it so that we can all breathe a little easier. No easy feat. The thoughts and ideas of large personalities seem to fill the very atmosphere leaving little room for much else. Every day we are reminded of the proportions and volume of things – from the ways it affects us physically in our health and diets, to how the questionable amount of possessions we encumber ourselves with can sometimes weigh heavily, to the length and breadth of the places we visit, the scope and scale of the projects we work on and the magnitude of the concepts we share. 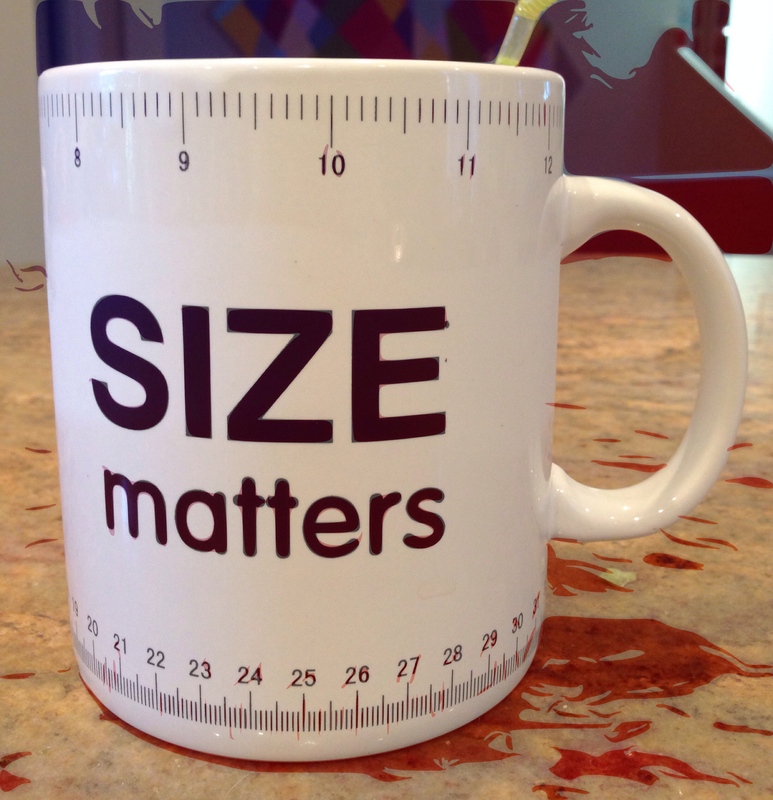 The Two Cents Tuesday Challenge posits that, contrary to what we have all been told – Size – actually does matter. Pingback: Big vs. Small | My thought exactly...! Here’s my entry for this week’s challenge! :) Can’t wait to see all the other great submissions! Imagine if you had had a set of Lincoln Logs… Thanks for your entry! I had a set of Lincoln Logs, but preferred the Erector Set. When I worked in Colorado I rewired an addition on a Log Cabin and it was just too much wood for me – like living in a tree. A really glossy tree with no bark! I felt like a termite by the end of the day being inside all that wood. Love the notes about “large personalities” and “too loose pants” (a top rant on my list). Hope you’re having a blessed Tuesday! Thanks – I had plans that I never got to realizing that I was late catching up on things I should have done earlier! Oh dear–don’t forget to breathe now and then, eh? Excellent remedy–I hear the bag of choc chips calling me…. Actually, I just printed out a bunch of recipes–I’m thinking about making a pumpkin-banana-choc cake for Thursday’s party. You’ll be there, right? Now this is perhaps the BIGGEST entry of them all – thanks for taking the time to send us some inspiration! Well, the pulpit was free so Preacher Caddo just grabbed it! Love the mug and enjoyed your commentary. We just returned from 5 weeks in a 17 ft. trailer and are going out this afternoon to look at ones a little bigger. It got trying when only one of us could move at the same time. Here is another perspective on size. Everyone needs a little wiggle room! Thanks for your entry.